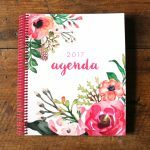 Christmas is over, and if you are anything like me, you are ready to start the new year right by getting organized. Today, I am sharing some gorgeous pantry organization inspiration! If you are a type A personality, you are going to be drooling over these beauties! 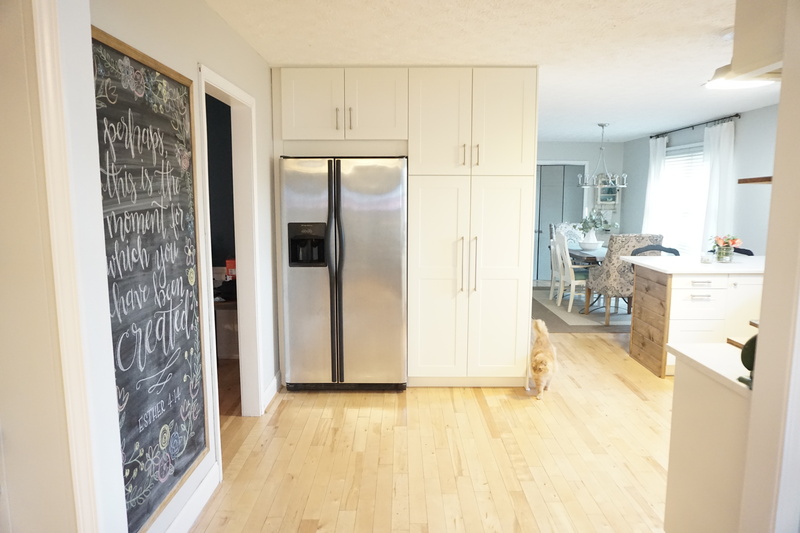 The first pantry I am sharing with you today is from Carrie at The Vintage Wren. 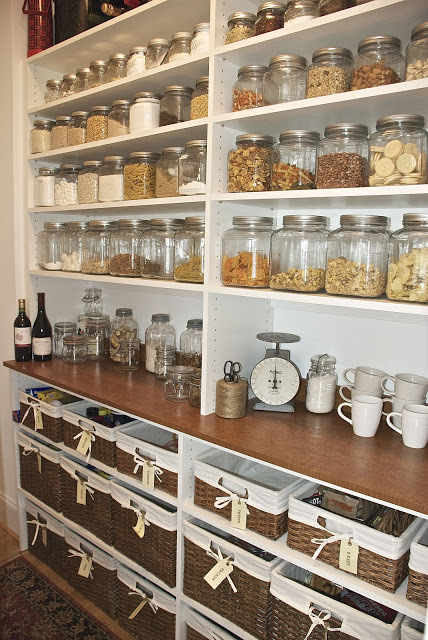 This pantry is AMAZING! 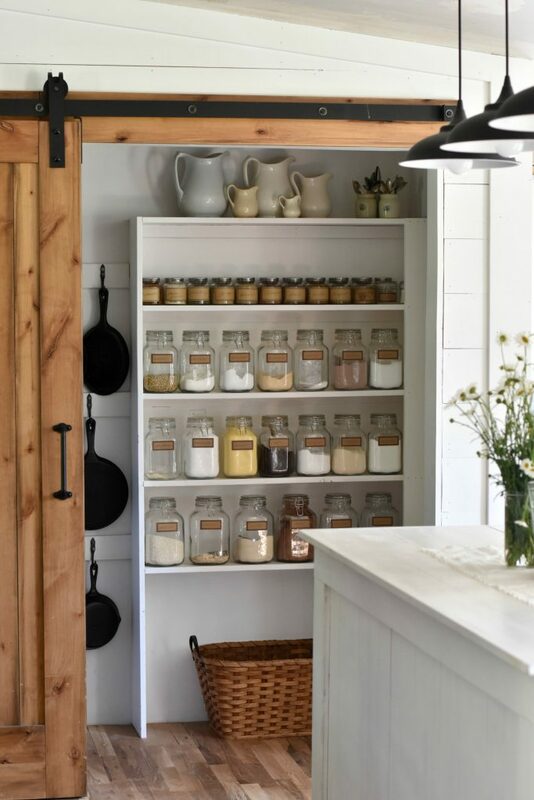 I love the wooden shelving, and all the perfect rows of jars. 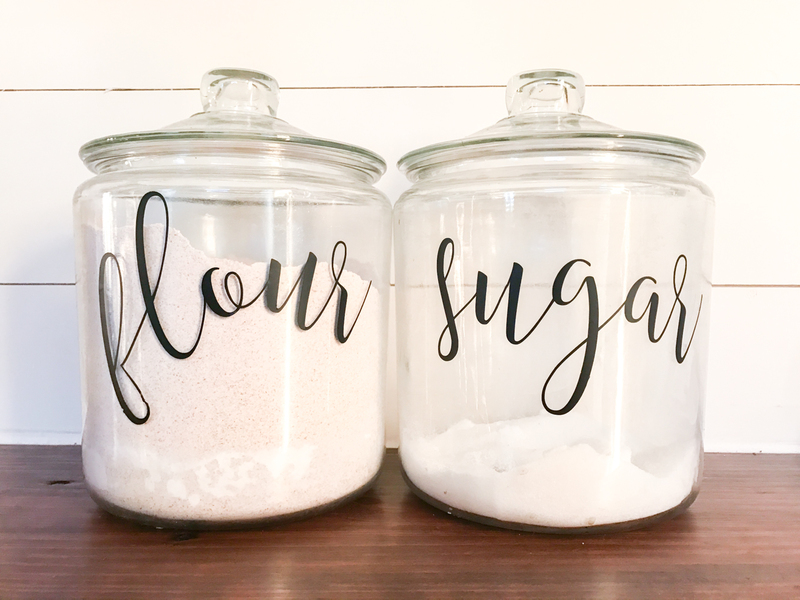 What a great way to keep all your dry goods and snacks fresh, and the clear glass jars make finding what you are looking for so easy! The baskets on the bottom shelves help organize and conceal the remaining pantry items keeping the overall look of the pantry nice and neat. 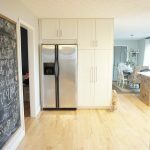 If you do not have a large walk-in pantry, don’t fret! Neither do I! 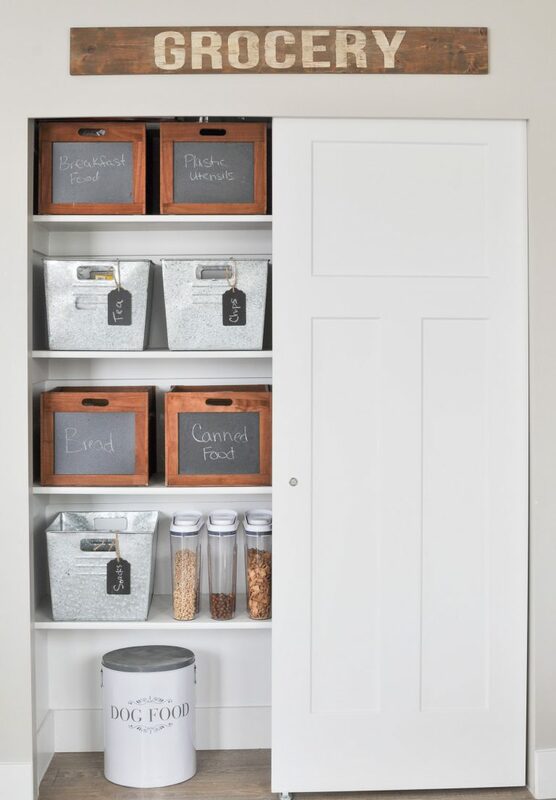 These next few examples prove that you don’t need a large pantry to get organized. I love so many things about this pantry, but what I love most is how they used baskets for their potato, onion and garlic storage. And as a side note, I adore Mrs. Meyers soap! 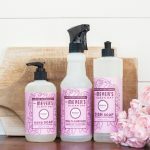 It is one of my must-have cleaning essentials! 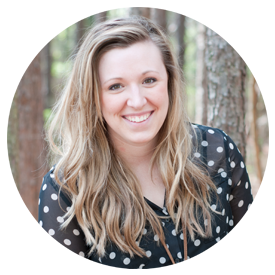 I have been drooling over Sarah at Flat Creek Farmhouse‘s kitchen for a while now! 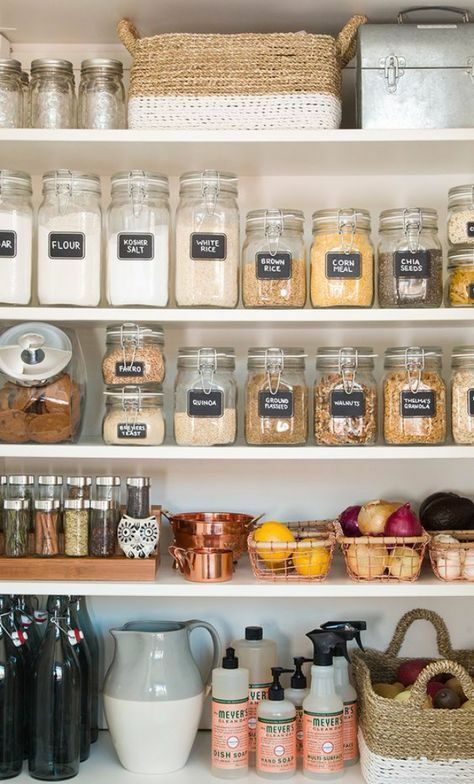 She has the cutest sliding barn door pantry with shelves lined with perfectly labeled jars. And I love the way she displays her cast iron skillets. If you are looking for an inspiring blog and Instagram account to follow it’s hers! My final feature today goes to Ashley at Cherished Bliss. 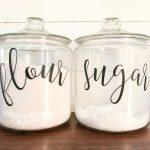 She uses the cutest bins in her pantry! Those galvanized locker style bins are so fun. And the chalkboard bins and tags make changing your labels so easy. 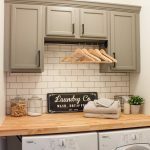 I hope you feel as inspired as I am after seeing all these gorgeous pantries! 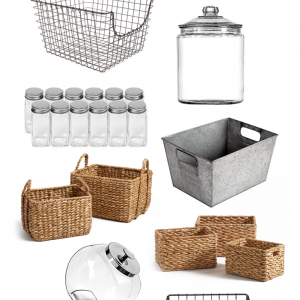 Make sure to check back next Wednesday for my round-up of pantry storage containers! 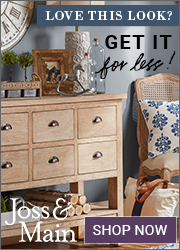 What room in your home are you looking to organize this year?